If you are involved in a dispute over a will, it is important to consult with an experienced estate litigation attorney. 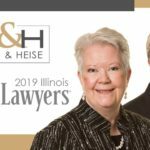 At Bush & Heise we represent clients throughout Illinois in will contests and other probate and estate administration matters. Whether you feel you are not receiving a fair and just portion of an estate, or another beneficiary is unfairly making a claim that could reduce your inheritance, we are here to protect your rights and interests. Call us today at 1-847-382-4560 to schedule a free case evaluation to discuss your situation with an experienced Barrington Estate Planning Attorney. Our law firm represents beneficiaries, heirs, administrators, personal representatives and executors in cases involving contested wills. Lack of testamentary capacity: The will may not be valid if the decedent was not of sound mind when creating the will or making changes to the will. Undue influence: If the decedent made changes to the will due to undue influence from a person who stood to benefit from those changes, the will may not be valid. Fraud: If there is evidence the will has been forged or tampered with, it may be cause to contest the validity of the will. Later will: In general, a valid will renders any prior wills invalid. Will contests can be costly, contentious affairs. Our attorneys work to help our clients resolve their will disputes in the most amicable, cost-effective manner possible. We have a proven record of success resolving disputes through mediation and alternative dispute resolution, as well as traditional litigation. 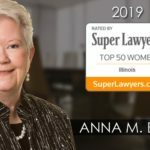 If you are facing a will dispute in Illinois, our estate litigation lawyers can help.